Children and dogs usually are a wonderful combination, but sometimes parents need to take a few steps to ensure children and dogs bond safely. Nonetheless, there are times when it can become dangerous. 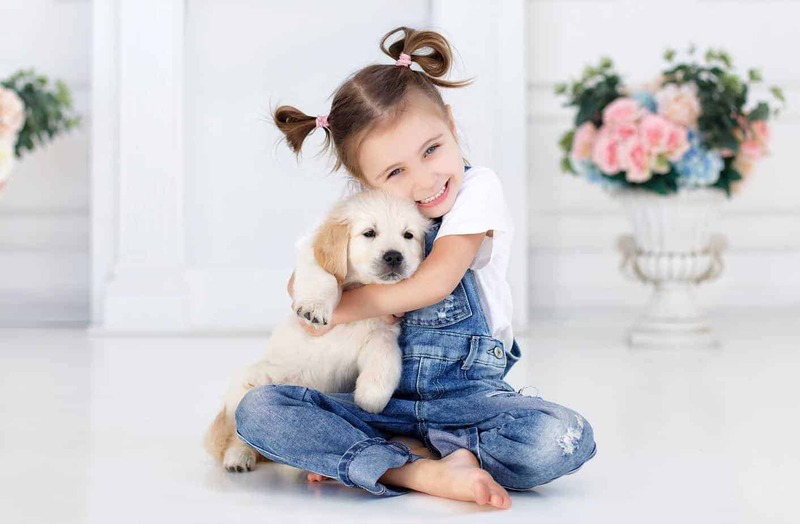 Unless taught otherwise, most children and toddlers often play too rough with their furry companions They will unknowingly provoke unacceptable behavior because they poke, prod, pull, corner, or trip over the dog. Instinctively, the only ways your dog can express their impatience is to walk away, growl or snap. To them, this is perfectly acceptable canine behavior. It is done to give an obnoxious puppy in a litter or dog in a pack fair warning. Puppies and dogs respect that warning. But children must be taught to do so. 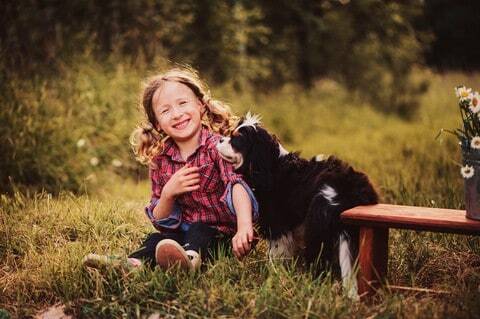 If children are taught to approach slowly and pet gently, your dog will welcome their touch. Herding dogs often nip, especially at heels, because inherently, that is what they were bred to do. A firm, fair, consistent correction must be used, to stop it. 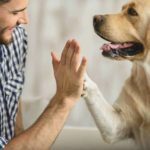 Dogs follow strong leaders…you and your children need to exhibit stronger leadership skills, so your dog learns to trust and respect the humans in the house. If there is no leadership, the dog will try to assume that position. Toddlers and children must understand when the dog walks away; the dog wants to be alone. The child MUST learn to accept that. Your dog must also be given a “safe” place to retreat to when they want to be alone. That sanctuary must be respected. Also, consider your dog’s age and health. 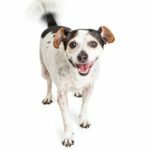 Older dogs sometimes have a harder time dealing with toddlers and children because they may be in chronic pain due to arthritis, suffer from failing vision/hearing or other health issues. They are merely protecting themselves. Even so, should your dog growl or snap, they must receive a firm correction immediately. They must associate that particular behavior is unacceptable. In a stern tone of voice, tell them “NO! Shame on you!” Calm them down and encourage the dog to retreat to their “safe” place. Praise them for leaving. 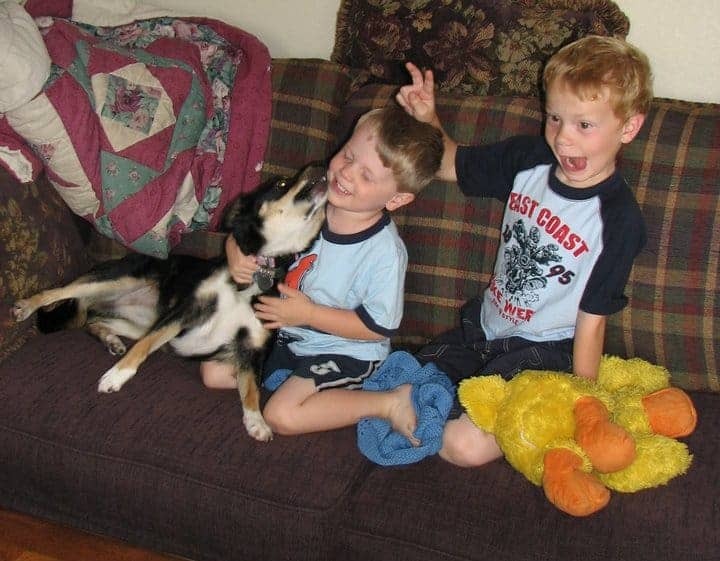 ALWAYS give your dog an escape route, should they want to exit from an approaching child. Never force your dog to interact with a child! It will only end in resentment and possibly escalate the problem. 1. 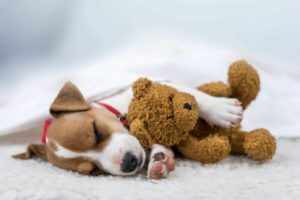 Toddlers and children must be taught NEVER to approach a sleeping dog without some “warning.” A started dog may snap or bite without warning. It is a perfectly natural response to unexpected stimuli. 2. Monitor ALL activities between your dog and your child. NEVER leave your child and dog unsupervised. 3. Teach your child to approach the dog slowly and to pet the dog gently. Children can be rough on dogs. 4. Speak to your dog in a happy, calm voice and pet them gently, when the child is near. Give them tiny pieces of treats or reward them by tossing their favorite toy and LOTS of praise. 6. Any time your toddler or young child touches your dog, be there to hold and guide their hand. This will teach your child not to be too rough with their dog. 7. It is equally important to protect your dog from your child, as it is to protect your child from your dog. IT is YOUR responsibility to keep order in your pack. 8. Encourage your dog to escape your child’s advances, if they are not in the mood to be bothered. If you see your dog is not interested in interacting with your child, tell your dog “Look out ______! Here comes _______! Better go to your safe space.” DO NOT LET YOUR CHILD FOLLOW THE DOG! 9. Review obedience training with your dog every day. 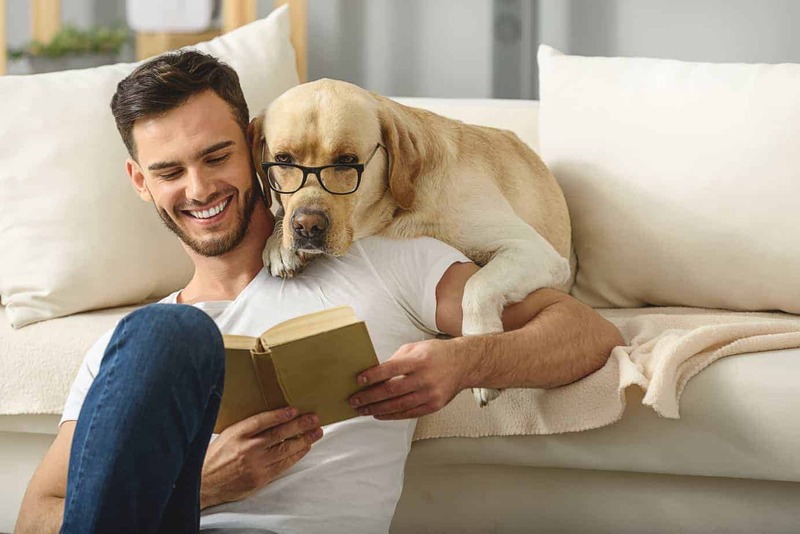 Spend a few minutes focusing solely on your dog. Not only is it quality time your dog will appreciate and look forward to, it reinforces your Alpha status. Sign up for an obedience or socialization class! Find a dog trainer who applies POSITIVE REINFORCEMENT, PUNISHMENT-FREE methods. It’s never too late to train your dog! 10. Exercise! Exercise! Exercise! Spend QUALITY time alone with your dog…focus solely on them. Go for walks alone, car rides, and just play with them. NOTE: Without trust, there is no respect. Without respect, there is no trust. Trust and respect go both ways. Remember, never leave your toddler or child and your dog unsupervised. By working with them you can help children and dogs bond safely. I read a very interesting post on our Dobermann Rescue forum. Each time she is pregnant, the lady encourages the dog to lay its head on her stomach and feel the movement of the baby and of course hear the heartbeat. She does this right up until the baby is born. She says there is no problem with ‘new baby’ jealousy and the bond between the dog and her children is incredible. What a lovely thing to do. She is obviously a very caring, responsible parent and owner in many ways! Great information! I’ve heard, though, that a dog should not be punished for growling. A dog that growls is giving a warning. If they are not allowed to give a warning, they may skip straight to the next step and bite ‘out of nowhere’ and seemingly unprovoked. Perhaps teach children to avoid a dog when they growl. And like you said, redirect the dog’s behavior to get up and move away instead.